Fitzhugh Park Elementary School students recently had the opportunity to meet Greg Callen. He spoke at the “Effort” assembly about character and adapted sports. Students were also able to participate in some of the adaptive sports activities. Callen is the driving force behind Move Along Inc. and provides a powerful, positive message to children. 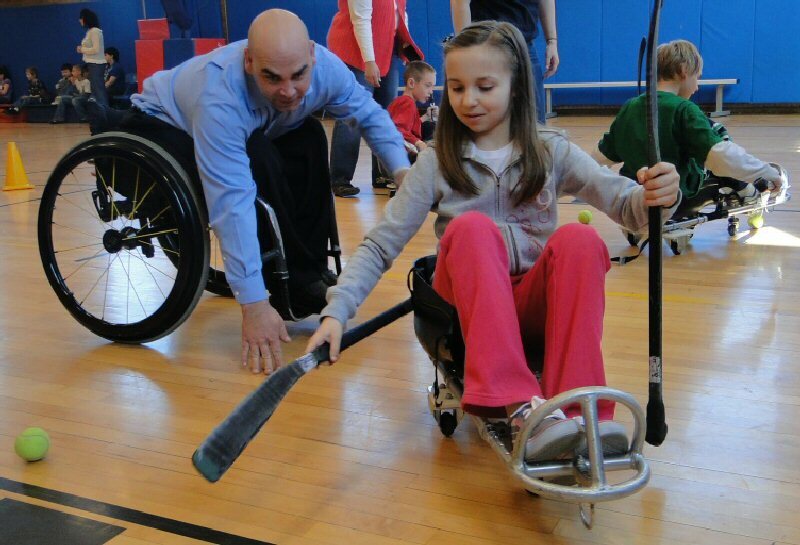 Audrey Atkins learns that sled hockey can provide difficult challenges as Callen gives her some direction.